WASHINGTON –Two spectacular photographs taken of laborers at work on prominent sections of the San Francisco-Oakland Bay Bridge, won the Grand Prize and the People’s Choice Award in the Faces of Transportation competition sponsored by the American Association of State Highway and Transportation officials. A judge selected the Grand Prize winner and a record 19,000 on-line votes decided the People’s Choice award winner. Six other photographs capturing highway construction workers and citizens using transportation facilities in their communities also received awards. Twenty-eight transportation department employees from 21 states and six private citizens submitted 121 photographs in the competition. The entries were judged in three categories: Building the Future, Opening Communities, and Taking the Road Less Traveled. 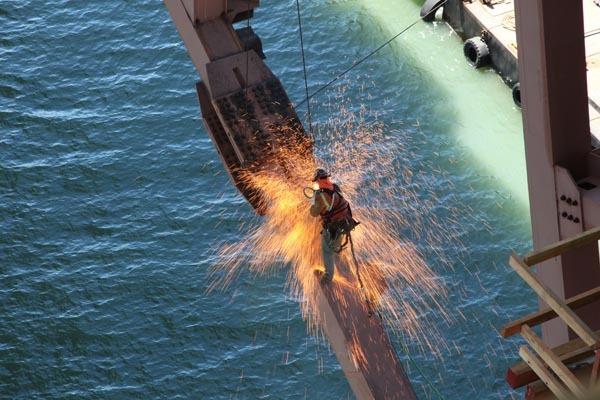 The Grand Prize was awarded to California Department of Transportation Engineer Martin Chandrawinata for his photograph of an iron worker using a cutting torch while suspended from the San Francisco-Oakland Bay Bridge. 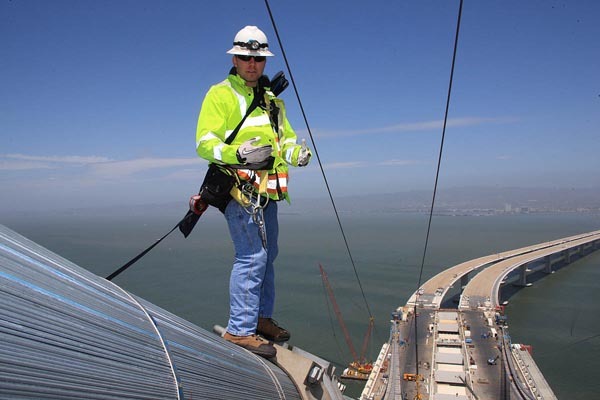 The People’s Choice Award was presented to photographer Bill Hall who captured California Department of Transportation Engineer Matt Bruce inspecting the cable band installation near the top of the San Francisco-Oakland Bay Bridge. 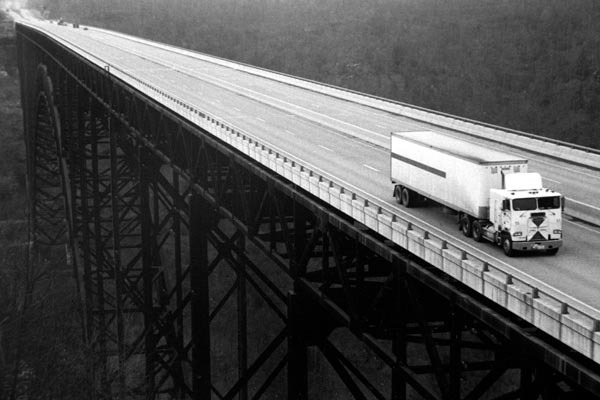 Hall’s People’s Choice Award photograph also won the in the Building the Future—State DOT category. 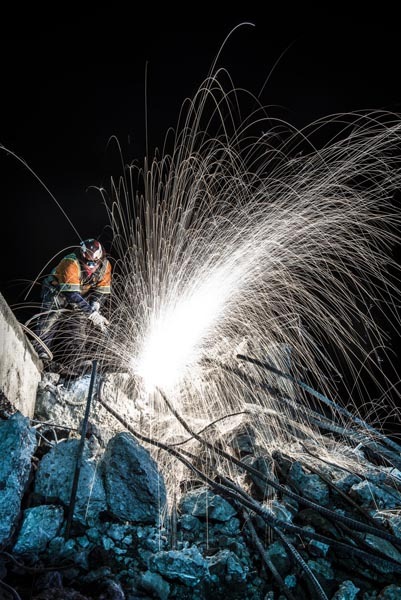 Building the Future– Individual Winner: California State Route Four Construction through Contra Costa County–photographer Karl Nielsen captures an unknown worker as he cuts through re-enforcing rebar in the concrete rubble of a demolished bridge on State Route Four in Antioch, Calif. The bridge was demolished to make room for the widening of the highway and the addition of a light rail system. 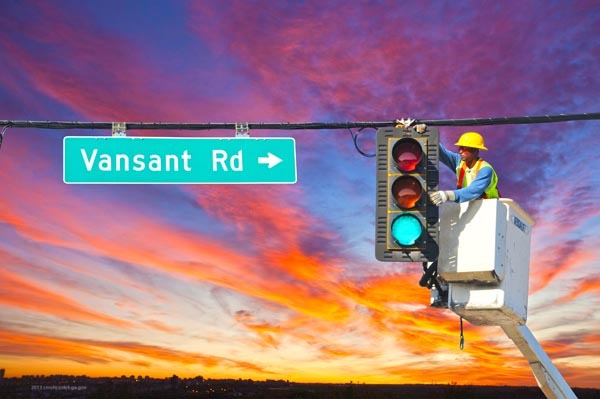 Opening Communities – State DOT Winner:Inspecting a Traffic Signal— photographer Cedric Mohr from the Georgia DOT captured this winning photograph of GDOT Signal Technician Bobby Bryant inspecting a traffic light in District 7 on the south side of Atlanta. GDOT maintains 3,280 lights across Georgia. 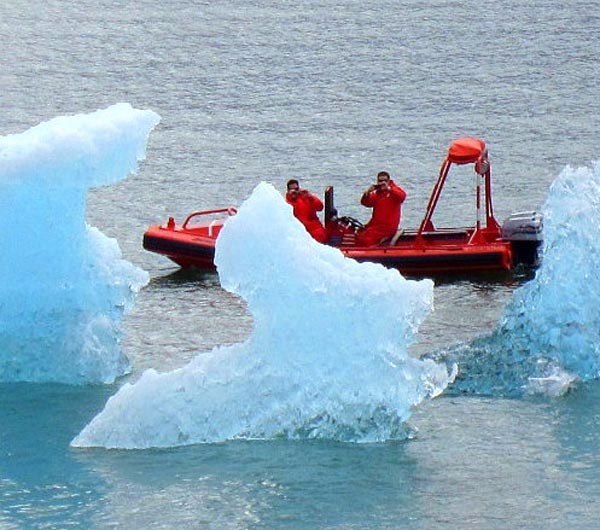 Taking the Road Less Traveled — State DOT Winner: Icebergs from a Distance–photographer M. Bailey Watson from Alaska DOT & PF’s Alaska Marine Highway System captured this photograph of icebergs being investigated from the safety of the Fast Rescue Boat deployed from the M/V Taku. 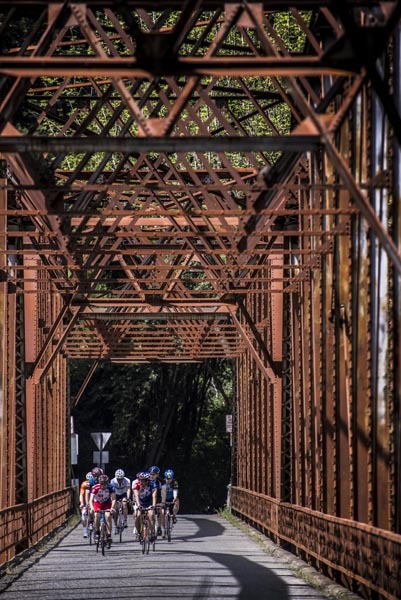 Taking the Road Less Traveled—Individual Winner: Grafton Bridge–photographer Karl Nielsen captured cyclists riding across an old bridge near Grafton, Calif. The photographs were judged by Connie Rus, an accomplished photographer and graphic designer based in Washington State. To see all of the photographs, please view all of the entries from this year’s contest.